Take note that the models with larger wheels, including the HEMI-powered cars, don't ride quite as well. The 2014 Dodge Charger's interior may surprise luxury car shoppers, but it'll definitely delight the blue collar crowd. The Dodge Charger has the basics of a mid-size sedan covered, but there's a secret tucked under its sculpted, coke-bottle-shaped sheetmetal. Properly equipped, it can rage on with the raw horsepower of the powerful musclecars available today. It's a sleeper, but one only when it's saddled with the basic V-6 engine. The Charger bristles with bravado. It's unabashed, in classic Detroit fashion, but it's also a sensible vehicle choice with just enough refinement and sophistication. It's the type of car that restores your faith in the idea of a well-built, well-engineered American-made car. For 2014, the Charger sees very few changes, though the new Redline Package includes a tuned version of the 3.6-liter Pentastar V-6, good for 300 hp, as well as a few styling cues and an upgraded audio system. The 2014 Charger is well equipped, especially from the SXT level and above. Even base SE Chargers include air conditioning; cruise control; power windows, locks and mirrors; a power driver seat; pushbutton start; and an AM/FM/CD player with a 4.3-inch touchscreen control. Other good tech options include navigation with real-time traffic and voice control, as well as the option to plug a cell-network data dongle in and create a local wireless network. The only Charger we might avoid from a performance perspective is the base SE, but only because it comes with a five-speed automatic while the eight-speed automatic that's included in SXT models is so much better. Otherwise, it's now simply a matter of whether you're okay with the V-8's extra price and thirst (and, perhaps, its less responsible image). Chrysler's new 3.6-liter Pentastar V-6, making 292 horsepower, is what powers base Charger models, and it's made better through a very smooth and responsive eight-speed ZF automatic. 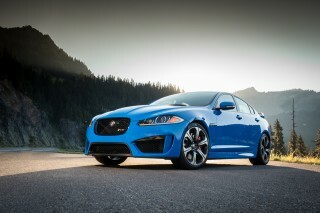 Paddle-shifters are included, and the combination gets up to 31 mpg highway. Go with the R/T and its 370-hp, 5.7-liter HEMI V-8 (and five-speed automatic) if you want more engagement, a lot more torque, and a classic burble, while for the most engaging, tire-scorching performance you should head straight for the SRT; with its 6.4-liter HEMI V-8, with 475 horsepower and a five-speed automatic, it's good for 0-60 mph times of under five seconds and tuned, in some ways, we think, to sound like a classic big-block engine. The SRT handles surprisingly well for a big, heavy sedan—with much more of a nimble nature than a Ford Taurus or Chevrolet Impala. There's not a lot of lean or body roll in any of the models, but the SRT and its new adaptive suspension has the best combination of ride and control (it's selectable, from comfort-tuned to aggressively firm). The 2014 Dodge Charger is bold and assertive, but that's only on the outside; form follows function remarkably well inside. The 2014 Dodge Charge remains a standout in the segment, even though it hasn't changed all that much since its debut in 2005. 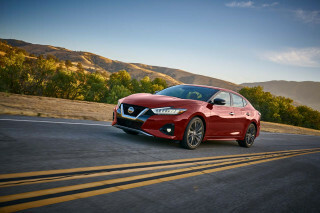 With its crosshair grille, unmistakable bar of LED taillights, Coke-bottle silhouette and high beltline, the sedan has a retro-mod look that's both commanding and decidedly masculine. Try to look past its NASCAR and Dukes of Hazzard associations–this thing is exotic all in its own right. The Charger looks most like a muscle car from its rear and profile–especially in burnt orange with the packages that add lower aero-work. In back, 164 LED taillamps comprise a racetrack of rear lights that spans across, and the squarish tail is topped off with a spoiler on some trims. You'll find impressive performance from V-6 models of the Charger, but there's no measuring up to the seductive firepower of HEMI models. In general, the Charger drives like a somewhat smaller car--although if you opt for the available all-wheel-drive system, the steering doesn't wind and unwind with the same neatness, and that alone can give the car a bulkier feel. Chrysler's new 3.6-liter Pentastar V-6, making 292 horsepower, is what powers base Charger models, and it's made better through a very smooth and responsive eight-speed ZF automatic that provides a wide span of ratios. Paddle shifters are included, and the combination gets up to 31 mpg highway. If you want more engagement, a lot more torque, and a classic burble, while for the most engaging, tire-scorching performance you should head straight for the SRT; with its 6.4-liter HEMI V-8, with 475 horsepower and a five-speed automatic, it's good for 0-60 mph times of under five seconds and tuned, in some ways, we think, to sound like a classic big-block engine. The Blacktop Package that was introduced in 2012 has been made even better. As before, it brings 20-inch performance tires on Pitch Black five-spoke alloys; a performance suspension; sport seats; and a Pitch Black grille theme. This year with this package and the Rallye Appearance Group there's a cold-air intake and sport exhaust that bumps V-6 output up to 300 hp. An R/T Road & Track Package also includes a rear differential with 3.06 axle ratio, performance powertrain calibrations, a high-speed engine controller, 20-inch chrome-clad wheels, and special badging. The muscle-car stance and rear-wheel drive do rob some interior space, but the Charger is surprisingly practical inside. If you value ride comfort more than muscle-car impressions, you should keep in mind that ride quality in V-8 models, and those with larger wheel upgrades, is noticeably harsher than in V-6 models. R/T or SRT models can be a little jittery at times, while V-6 Chargers are more sophisticated and quiet. However, the flamboyant muscle-car look of the 2014 Dodge Charger doesn't impact interior space or usability all that much, although you do pay for that high beltline with outward visibility that's a little more limited than in other sedans. 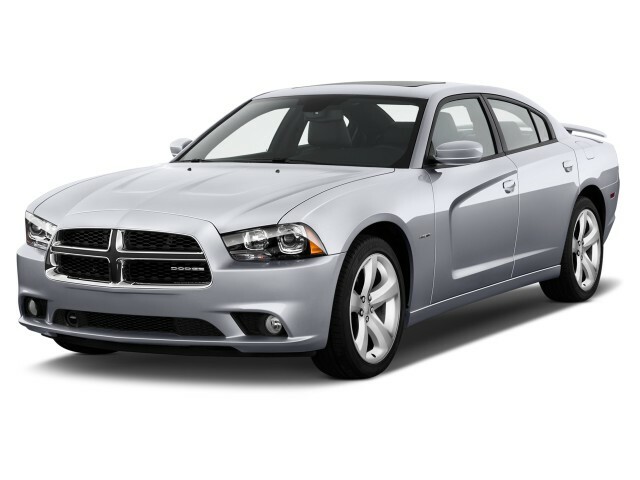 The 2014 Dodge Charger offers excellent safety that goes along nicely with the assertive look and feel. 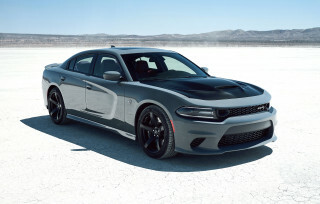 With its bold, brash looks, the 2014 Dodge Charger is one of the safest sedans on the road. A rearview camera system, active cruise control, and blind-spot monitors are available in addition to all the expected standard items. Front-seat active head restraints were added to the Dodge Charger's list of safety features two years ago. And electronic stability control, full-length side-curtain airbags, and a driver's side knee bag remain included in all Chargers. The Charger has earned a five-star overall score in federal testing, and it's been an Insurance Institute for Highway Safety (IIHS) Top Safety Pick in the past - but since there's no small-overlap crash-test data, it doesn't merit the Top Safety Pick award this year. The Charger has earned top 'good' ratings in all categories of IIHS testing. In the more stringent federal NCAP tests introduced last year, the Charger has achieved five stars overall (out of five), with a top score in side-impact protection and four stars for frontal impact. The 2014 Charger has a simpler infotainment interface than some rival cars, but all the connectivity and entertainment goodness is there. It's what's under the hood that will likely attract most Charger shoppers, but for those looking for options and accessories, there are several trims from which to choose. Two of these trims–the SE and SXT–receive the 3.6-liter 'Pentastar' V-6, while R/T cars are powered by a 370-hp, 5.7-liter HEMI V-8. And if you're really going for the gusto, the SRT Charger has a 6.4-liter HEMI V-8 that produces 470 horsepower and 470 lb-ft of torque. The Charger also gets the Beats by Dr. Dre audio treatment--with a powerful 12-channel amp and proprietary equalization--on R/T Max, with several of the major options packages, and in all AWD models. Also, Rallye Appearance and Blacktop Package V-6 models now get a boost to 300 hp with a cold-air intake and performance exhaust. Charger R/T or SRT models are the lushes of the lineup, although the Charger V-6 models are responsible consumers. The Charger can be more efficient than it looks–especially if you get the eight-speed automatic with the V-6–which earns up to 31-mpg on the highway. Go with any of the V-8 models and you'd better be prepared to dig deeper into your wallet. Even though HEMI V-8-powered R/T models include Fuel Saver Technology (cylinder deactivation), they return 16/25 mpg, with AWD models down to 15/23. 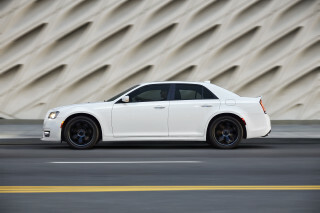 SRT models figure in at 14/23 mpg--which really isn't bad considering their output. 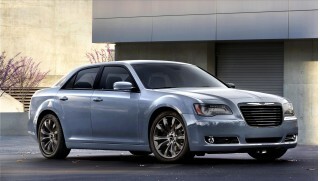 And if you're getting an SRT, gas mileage can't possibly be a priority; that model gets 14/23 mpg. Rear-wheel-drive V-6 models slot in at 19 mpg city, 31 highway--very respectable for a large, performance-oriented sedan. 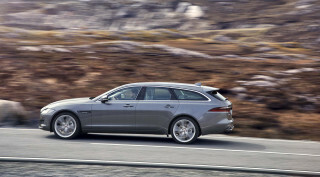 While with all-wheel drive, the V-6 lands at 18/27 mpg. I bought my 2014 Dodge Charger 100th Anniv. Edition new. Biggest mistake of my life. At 2500 miles, I began having issues with the transmission (slipping, clunking, lurching forward after coming to a stop)... I bought my 2014 Dodge Charger 100th Anniv. Edition new. Biggest mistake of my life. At 2500 miles, I began having issues with the transmission (slipping, clunking, lurching forward after coming to a stop). After reading many posts about others with the same problems, it was realized the valve body needs to be replaced (Lots luck getting Dodge to perform warrantee work-They haven't fixed mine). At about 10000 miles the radio began to have a mind of its own (coming on when it wants, not shutting off, can't change the station etc....), the 8.4 touch screen no longer works, the heated seats were coming on by themself in the summer (Needless to say driving to work in the middle of August and I'd arrive soaking wet with sweat! and the air vents don't blow 100% and the brakes squeal. I could've bought a $500. car off of Craigslist and dealt with the same issues. so far its been an great car .....lots of room but dosent feel big when driving it and the v6 has plenty of power and a great sound. 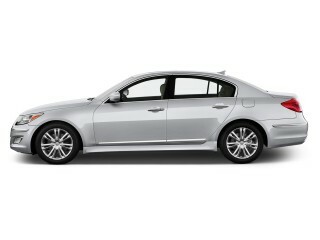 Comfort, style, fuel economy, and performance. What more could you ask for? 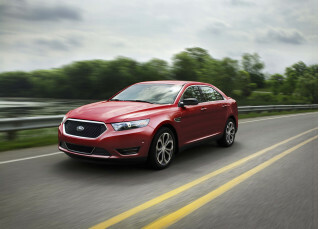 Best value for a sporty, comfortable family sedan. If you hate to give up the sporty car due to an expanding family, you may find the Dodge Charger to be THE vehicle to handle all your needs. 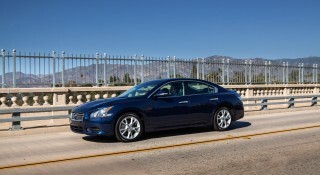 The Charger gives you a very comfortable ride, while allowing you to... If you hate to give up the sporty car due to an expanding family, you may find the Dodge Charger to be THE vehicle to handle all your needs. The Charger gives you a very comfortable ride, while allowing you to have fun accelerating and handling the twisty roads with a 300HP V-6 engine, coupled to an 8 speed auto transmission and still deliver up to 30MPG on the highway. With the convenience standard equipment and options available you have your driving experience keeping you safe and confident in your daily travels as well as any long trips. With a sticker price in the low $30's you have a very nicely, well equipped Charger SXT that will give you miles and smiles of pleasurable driving.